General Information: Quince is harvested from a small fruit tree that's botanically in the rose family, this makes quince also related to apples and pears. Common quince is native to Iran, Turkey, and perhaps Greece and the Crimea. 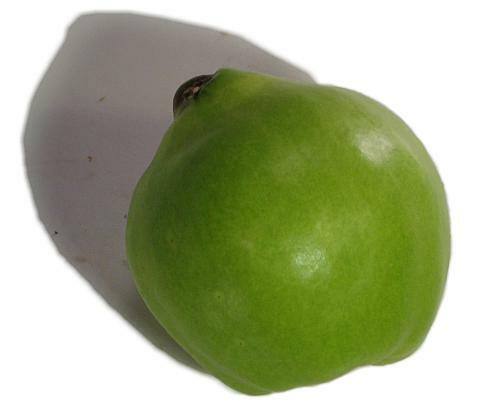 When raw, this golden-yellow fruit has a strong and fragrant aroma with an astringent taste. When cooked, quince takes on a pink color and makes an excellent preserve. Quince contains so much pectin, that traditionally it was used as an added ingredient in jellies and jams that feature fruits such as strawberries and peaches. It is still commonly used in conserves and seasonal fall compotes, condiments and stews. California is the only state in the U.S. that grows quince commercially. Harvested from mid-August to early November, the fruit stores well and is generally available through January. There are small shipments imported to the US from Chile during the months of March to May. Those willing to take the time to prepare quince are rewarded with a floral aroma and an apple and pear flavor accented by a surprising attractive pink flesh. When quince is cooked, heat and acidity convert the compounds in the raw fruit to anthocyanins; this chemical reaction is what colors the flesh and diminishes the astringency of the raw fruit. Common cooking techniques include baking and poaching - featuring this fruit in pies, tarts and crumbles is common.